Today we are going to be talking watches! A handy essential that requires to be both fashionable and practical. 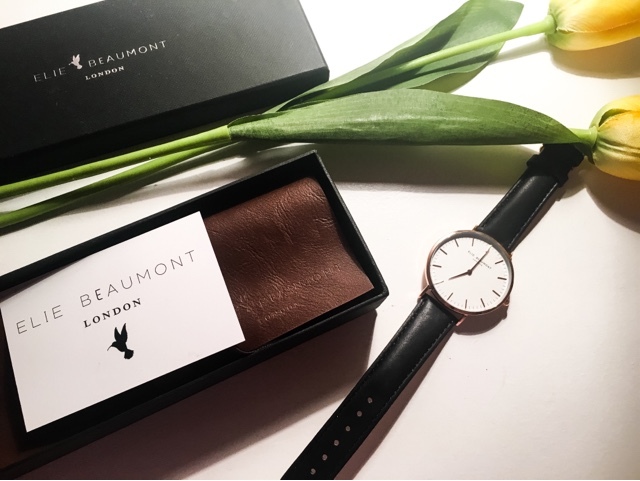 A watch applies a little class to an outfit and finding the right one you can add to numerous different styles is by far my favourite thing about this accessory. 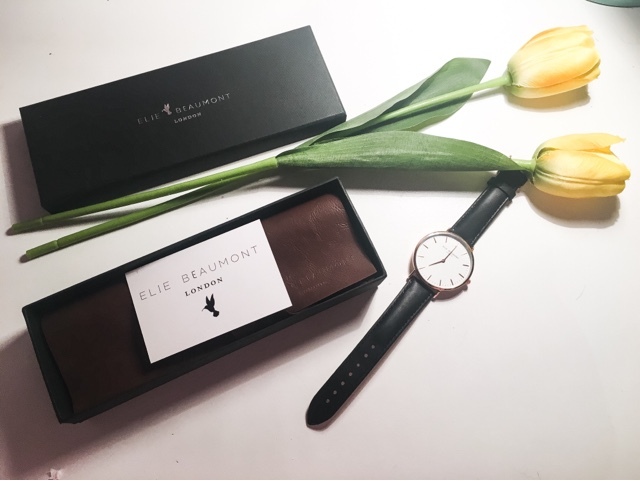 Elie Beaumont watches take inspiration from vintage and haute couture collections, Elie's designs derive from her own experience in fashion. Incorporating the essentials to create the sleek timeless pieces in the collection. in black nappa leather. 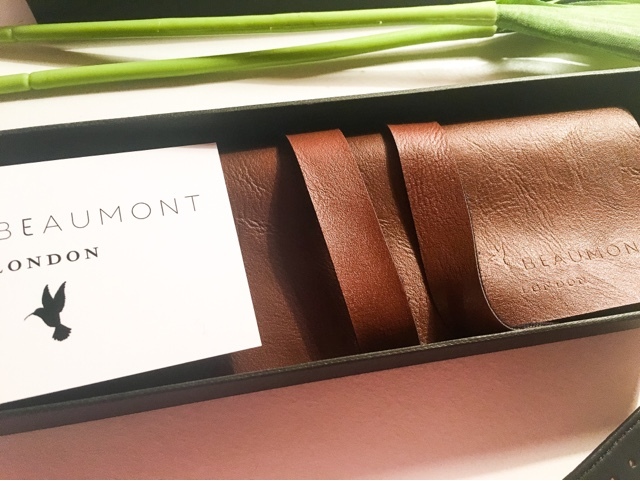 The watch came in a lovely leather wrapped case and the watch itself has a beautiful rose gold features which adds an expensive quality to the not so expensive watch. 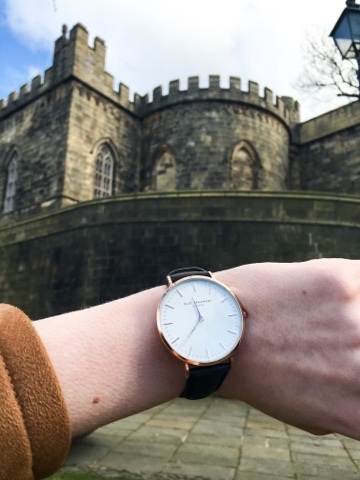 The watch price is incredibly good value, at just £49.00! 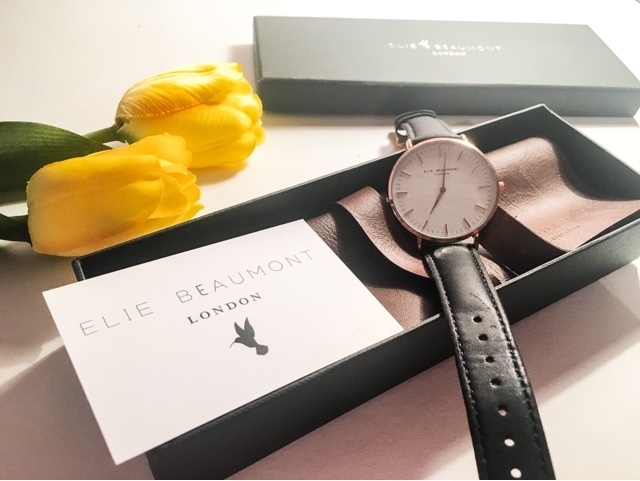 In fact all of their watches on the site are just £49, usually I would expect to pay a great deal more for such a trendy and luxury looking piece. 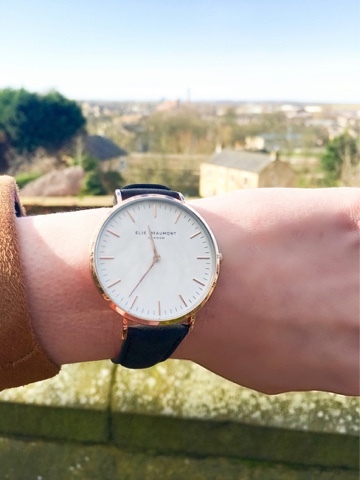 I especially love the feel of this watch, I think the sleek elegant design of the watch will complement a variety of my outfits including the vintage ones. The particular watch I received was available in numerous colours but I felt the black leather added a fine sophisticated appearance. SS16 what to take from the catwalk? 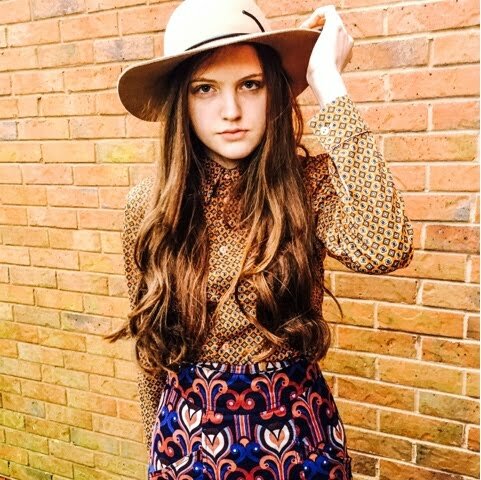 It's all about angles- How to take blog pictures? 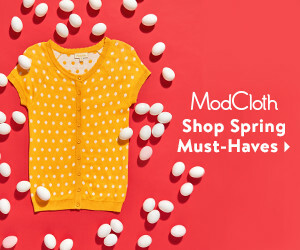 Getting ready for spring - How to style pastels?